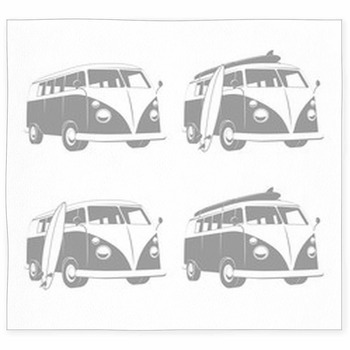 Explore your wild, crazy side with these fun and crazy hippie rugs! 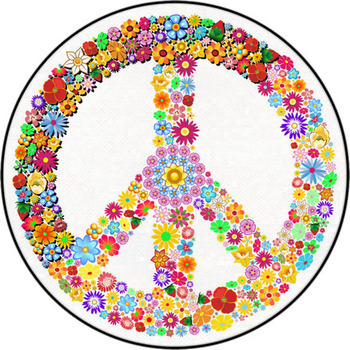 There are tons of different styles and designs with hippies, flower power patterns, peace signs, quotes, as well as 60s and 70s themed pictures. 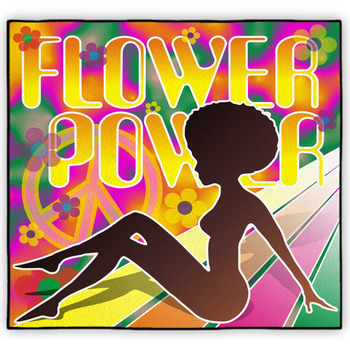 Flower power designs add a wild and fun touch to any room! 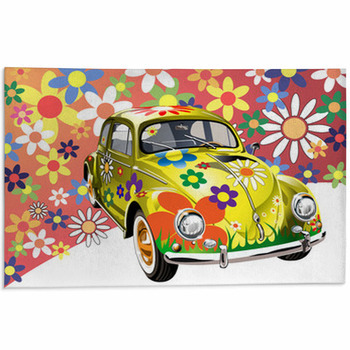 Take a look at the graphically designed flower power rug that features an old Volkswagen Beetle. 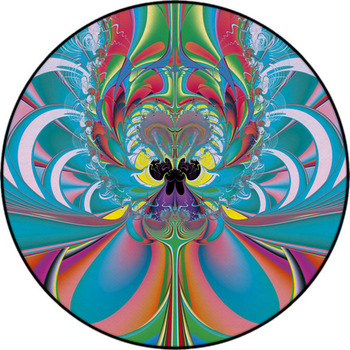 The bug is decorated with colorful flowers of all shapes and sizes and the background is filled with a variety of flowers that come together to create the popular flower power design. Decorate in darker colors with the purple flower power hippie rug! Its design includes the colorful flower varieties with the words Love and Peace appearing in-between the flowers! Or try the green version that also has the flower power background featuring a large selection of bright flowers with the words Happiness and Dream floating in the center. Another great design is one with the silhouette of a lady with the popular big hair that is sitting on a rainbow. 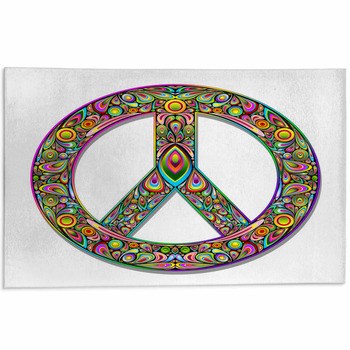 Make a statement with the custom hippie rugs with popular quotes and sayings. 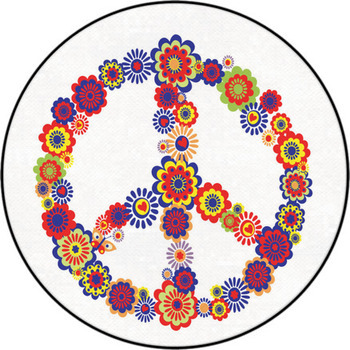 Try the vintage colored hippie rug that says Love, peace, joy and is accented with a heart, peace symbol, and flower. 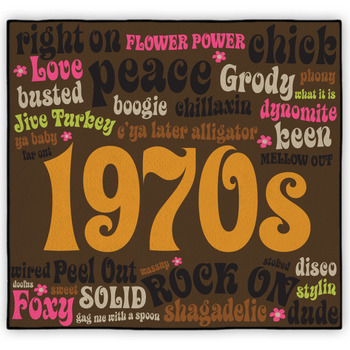 Or remind people of the past with the design that says 1970s in bold lettering and is surrounded by groovy words like solid, foxy. peace, rock on, love, and flower power. 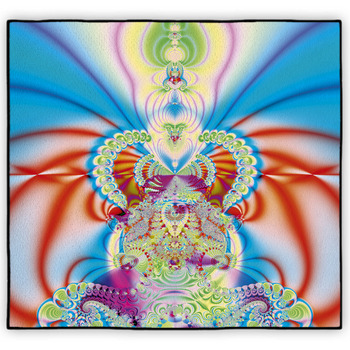 Dance at the disco with the wild hippie rugs featuring dancers and music themes. Try the neon green and yellow rug with the silhouettes of people dancing and a colorful rainbow streak running down the side. Pump it up with a yellow, red, and orange design that features the outline of a talented dancer surrounded by abstract patterns and speakers.